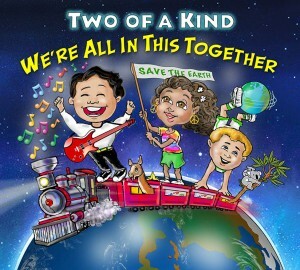 We have just released our 9th CD for children and families!!! The album is called We’re All in this Together, and features mostly original songs. The title refers to the overall theme of caring for the earth and caring for each other, with the title song specifically focused on working together to solve environmental problems, written as a finale for our forthcoming musical “The World is Not Your Garbage Can.” We got some amazing musicians to help us out, including members of The Fractals and Huffamoose, jazz musicians Dave Posmontier, Stan Slotter, and Paul Butler, rapper Kuf Knotz, didgeridoo master Harold E. Smith, Hope & Justin of Acoustic Blender and our sons Ari & Jason. You can now order the new CD here. You can also get the CD, individual downloads, instrumental (Karaoke) tracks, sheet music and even a songbook for the whole CD at SongsForTeaching.com.